Big things come in small packages. 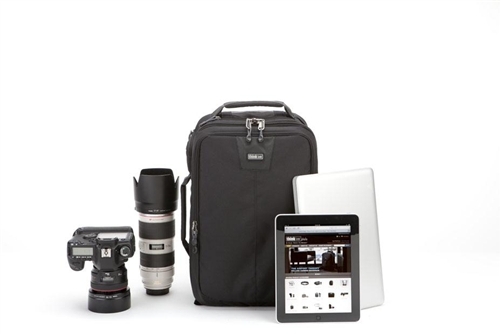 The Airport Essentials accommodates a standard DSLR, 4-6 standard zooms, iPad and up to 13” laptop. 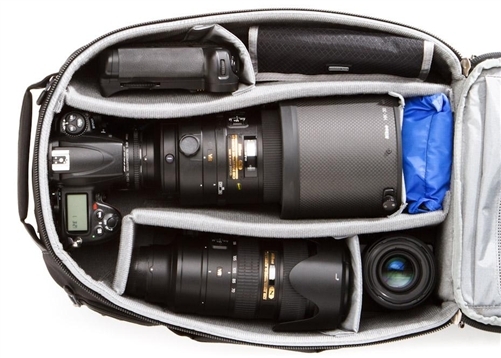 Fits up to a 300 f/2.8 lens attached a standard sized camera body. 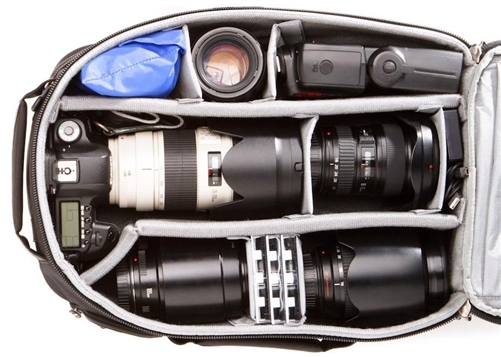 For photographers who travel by air, these bags pay big dividends… the three “C’s”; Carry-on size, Comfort, Capacity. The design, build quality and functionality are second to none. Three sizes allow you to find the best fit for your needs. Our new line of travel specific, high capacity backpacks are designed with the airport in mind. 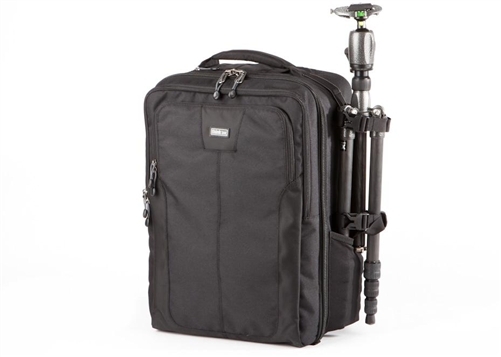 Featuring integrated, quick access pockets for both laptops and iPad, top pocket for boarding passes and three robust handles ensure easy placement and retrieval from overhead bins. The Airport™ series makes life easier for the traveling photographer. All bags in this series are designed to meet international carry-on size* requirements and this bag is designed to fit in the overhead in most regional/commuter planes.